Rugby World Cup fever is about to take off. The Squad was named today and there was not one but two Louth men named in it. Do you know who they are?? Pretty easy quiz as we all know the Kearney Brothers at this sateg! They have been making strides with Ireland in the past few seasons and put a lot of it down to their GAA background. 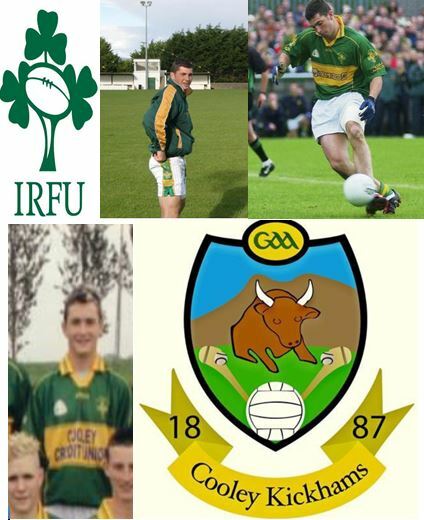 Rob was a superbly talented Louth minor for two seasons and played in a senior final for Cooley in 2004. While younger Brother Dave played in the middle of the field for the Cooley minors win over the Dreadnots/Fechins combination in 2006. The Louth and in fact the Cooley connections with the Ireland World cup squad doesn’t end there, Devin Toners parents hail from Carlingford! Last but not least, Jordi Murphy, the Dublin based back rower has strong Louth and GAA connections, his Grandfather was Noel Carroll and granduncle is Patsy Carroll the Lannleire Co Board delegate! Also, his Cousin Wayne Carroll would be well known Lannleire player and former louth under21 captain. hat-tip to Colm Corrigan for the info! So if Ireland win the Webb Ellis Cup in Autumn over a quarter of the team could be made up of Louth men!